February 4, 2019 – CAPACOA and its partners are launching a vast digital literacy and transformation initiative for the performing arts sector. Building off of shared metadata strategies and prototypes, the Linked Digital Future initiative will seek to evolve radically new collaboration mindsets in the arts. CAPACOA has been playing an active and leading role with its Digital Innovation Council in identifying, investigating and supporting the performing arts sector in its digital transformation. The 1st phase of the Digital Innovation Council focused on consultation and research activities that resulted in the publication ofDigitizing the Performing Arts: An Assessment of Opportunities, Issues and Challenges in April 2017. This report identified that successful business models in the digital world rely on scale and are centred on data. It also brought attention to the growing discoverability gap arising from the evolution of recommendation and search technologies (including virtual personal assistants), whose performance is dependent upon semantic technologies (i.e. metadata connected as Linked Open Data). 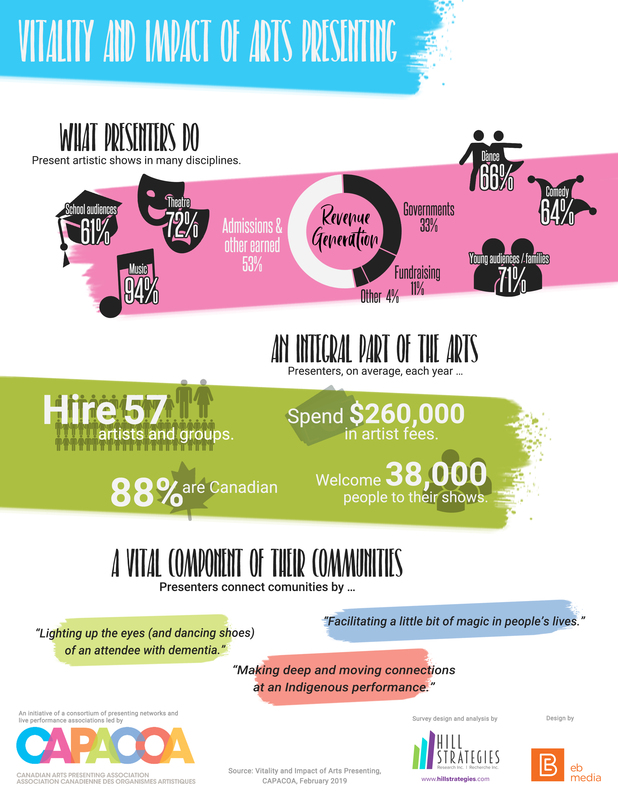 Consequently, the report proposed as a next step that the Canadian not-for-profit performing arts sector develop and implement a comprehensive data and metadata strategy that will both enhance the discoverability of performing arts events and build a new culture of collaboration. These consultation and research activities also made it clear that the digitization of the performing arts isn’t (at least, not exclusively) about building new platforms and uploading new contents on the web. Digitization of the performing arts is first and foremost about adopting new strategies, and ultimately new mindsets that are adapted to contemporary consumer behaviours, to the new dynamics of the digital economy, and to the dictates of search and recommendation technologies. This is particularly true of the performing arts. The output of the performing arts is non-material and non-digital. It is an intangible collective experience, whose primary attributes and constraints – time and space – are non-constraints in the digital world. Unless we provide machines with means to make sense of it, the live performance experience runs the risk of being overshadowed by the mass of more readily findable, discoverable and shareable cultural contents. For more information, consult the description of the Linked Digital Future initiative or contact Frédéric Julien.